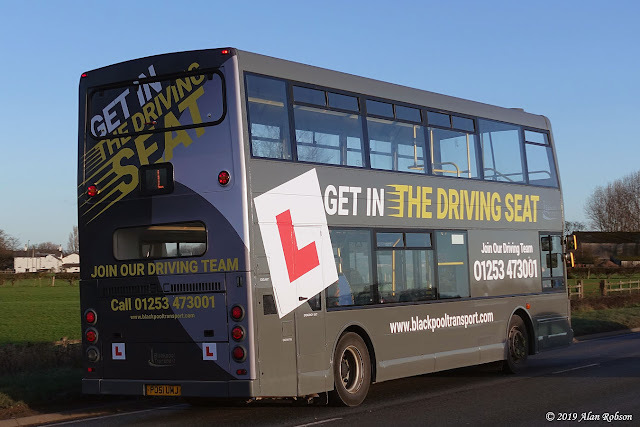 Blackpool Transport have added another Trident to their driver training fleet. 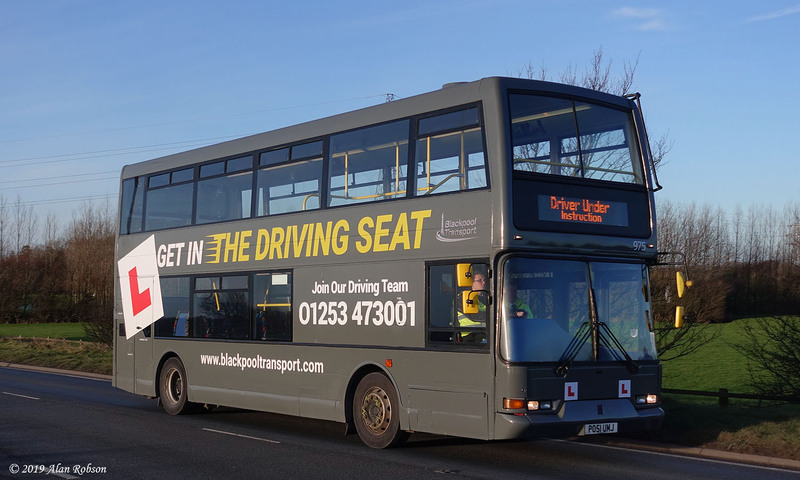 East Lancs bodied Dennis Trident 975 (PO51UMJ) has been repainted in "Palladium" grey, similar to existing training vehicles 973 & 974, but without the yellow flash along the sides. Trident 975 was previously numbered 339 when it was in the passenger fleet.